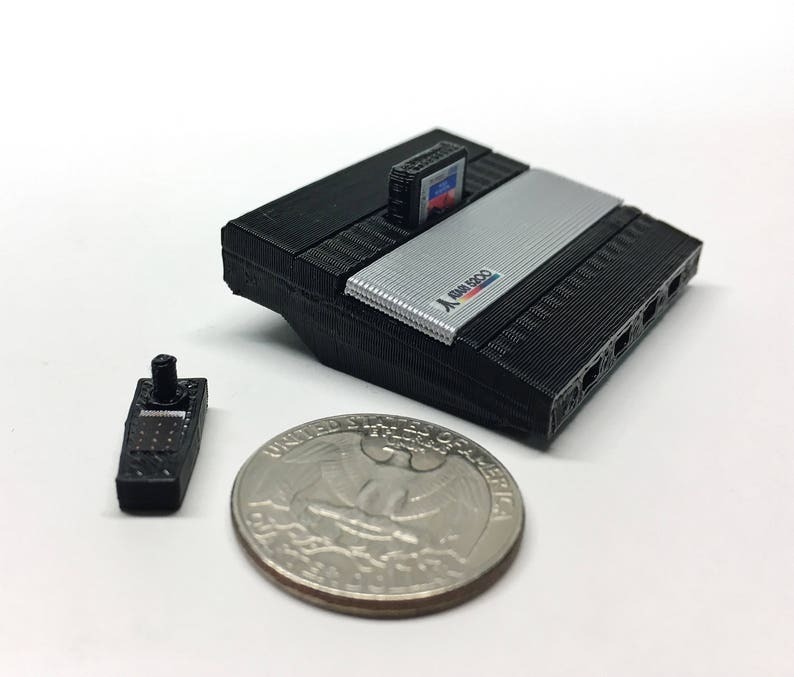 This tiny, 2" Atari 5200 Super System was designed using open source CAD software, 3D printed on a Makerbot Replicator, and hand painted and assembled. A great addition to your desk or studio. Includes one console, one cartridge, and one controller. I never owned a 5200. I do now, sort of? Great work. Back for more soon! Just as described. Looks great!